Masterkeys are basically miniature shotguns that can be attached onto tactical rails on a rifle. They’re great for CQB (Close Quarter Battle) because they have a wide spray radius and can take down multiple targets at a time. However, airsoft masterkeys are expensive and usually require Green-Gas to operate. In this post you’ll learn how to make a effective airsoft masterkey that operates without gas that’s made from inexpensive, household items. An airsoft rifle that has tactical rails, preferably with holes lining the hand-guard. For example, the Crosman Stinger R34 is a perfect gun to use. 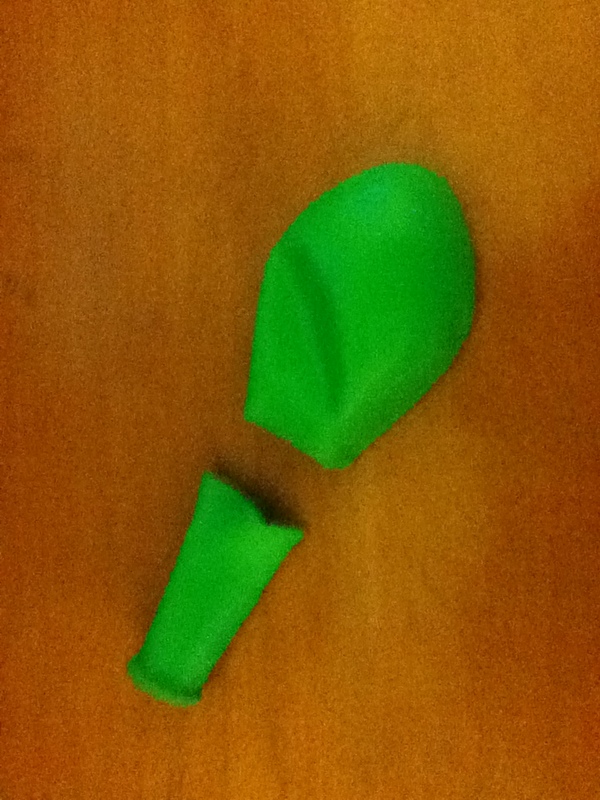 Step 1: Cut the neck off your balloon so that there’s a wide opening. Don’t cut it too far down, but just down of where the narrow neck begins to widen. You can discard of the cut-off neck. 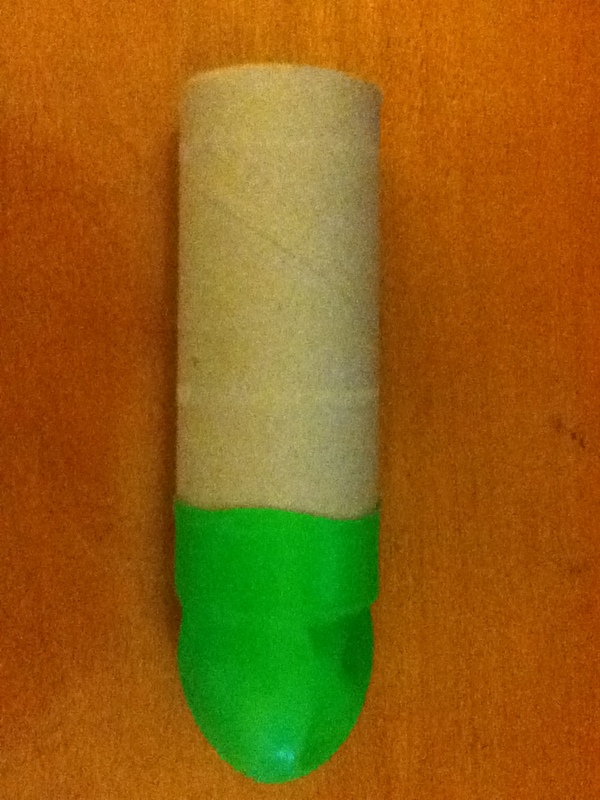 Step 2: Now take your toilet paper roll and fit the balloon over one end of it. Only have about an inch of the balloon actually over the toilet paper roll, the rest of it should just be hanging off the end. Once you have gotten the balloon about 1 inch over the toilet paper roll you can then tape it down with the heavy-duty/duct-tape. Make sure to tape it down firmly and to wrap it in several layers of tape to insure that it won’t come undone. Step 3: Take the small piece of wood and tape it onto the toilet paper roll. But, only tape it down on either end, leaving the middle open so that you’ll be able to sqeeze the zip-ties in between the wood and the toilet paper roll later on. Make sure to tape it down tight enough so that the wood and toilet paper roll won’t become separated, but not so tight that you crush the toilet paper roll and that you’ll have enough leeway to sneak the zip-ties in-between. In the side-image below I taped the wood down with black tape so that you can see where you’re suppose to put it. Step 4: Now you can spray paint the entire thing (try not to spray paint the balloon because it won’t be as stretchable). After the paint’s dried, take the orange duct-tape and wrap it all the way around the very front of the toilet paper roll (the opposite end of where the balloon is). 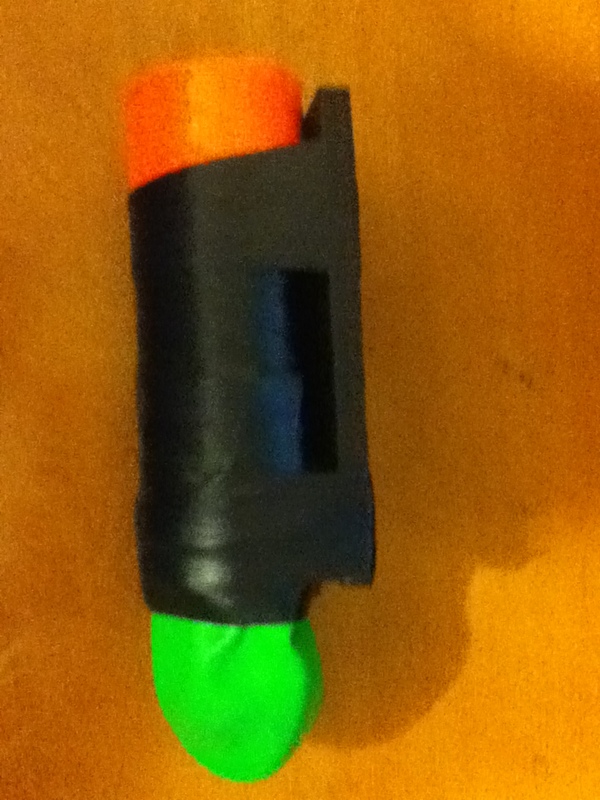 The orange duct-tape will serve as the orange safety tip; It’s illegal to have a device that fires projectiles (besides real ammunition and metal BBs, that is) without a orange tip on the muzzle at least 3/4 of an inch thick. If you decide not to put the orange tape on the muzzle of your masterkey, then you run the risk of people thinking it’s a real firearm and can even get you in trouble with the police. 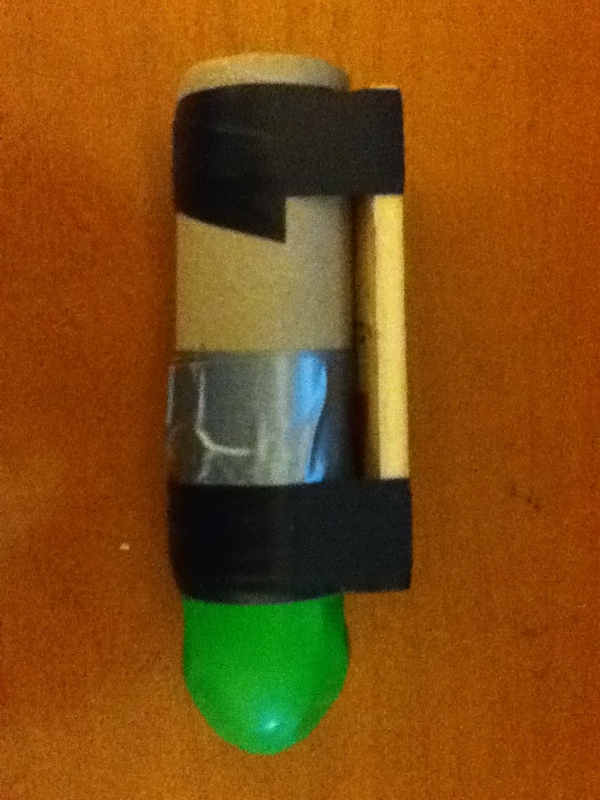 Step 5: Now take the zip-ties and squeeze them in between the piece of wood and the toilet paper roll. Since it’s made of cardboard, the toilet paper roll should bend inwards a little bit when you push the zip-ties though, giving you enough room to sneak them through. If you’re having a hard time, loosen the tape that’s holding it down. Make sure to space the three zip-ties at small intervals (one on near the end of the masterkey, one in the middle and one near the front). Don’t pull the zip-ties completely though. Pull/push them through just enough so that you have slack to go around the piece of wood, through one of the holes in the gun, out another hole in the gun, and back to the end of the zip-tie where you can pull it tight. So all you’re doing is completing that black loop with zip-ties in three different places. As you can see, the black zip-ties go in-between the piece of wood, through a hole on the top of the hand-guard, out a hole in the bottom of the hand-guard, and finally connects back up with the other end of the zip-tie. You can then pull the zip-tie tight and cut off the excess. It’s recommended that you mount the masterkey on the side of the gun instead of on the bottom rail; Mounting on the side allows you to pull the balloon back further when you’re firing, creating higher velocities, and it also allows you the option of attaching a sight onto it, if you’d like. The only downside is that it’s higher profile mounted on the side, and can sometimes bump into things and break. How the masterkey works is, when you’re ready to fire, to pour 5-10 BBs directly in to the muzzle of the masterkey and let them trickle into the balloon. You then grasp the BBs from the outside of the balloon, holding them firmly in-between the balloon so that they wont fall back out the muzzle. You then pull the balloon backwards and let it go to fire. The balloon will launch the BBs forward at about 200 FPS and has a effective range of 10-15ft. And it’s very simple to attach a red-dot scope onto the masterkey if you want to. All you do is run a fourth zip-tie between the wood and the toilet paper roll (just like you did to mount it), except instead of going into the gun you run it over a red-dot sight and then tighten it down, keeping the sight firmly in place. The sight honestly doesn’t help too much, but it at least gives you a general idea of where you’re shooting at and it also has to “cool” factor. Please give all credit from this project to SirBuffaloSushi and Airsofter United. Airsoft grenades that you can find on the internet are usually expensive and almost always require gas/CO2 to operate. This means that unless you’re ready to deal with the expense that come with real airsoft grenades, you’re stuck making one yourself. Making it yourself isn’t all bad, though. It’s cheaper and you don’t have to wait for shipping, and you can modify it for bigger/smaller explosions. Step 1 – The first thing you want to do is fill your bottle up about half way with vinegar (maybe a little more than half way). Then pour about 30 airsoft BBs into the bottle. You can use more or less BBs depending on how many people you want to hit. Step 2 – Take a tissue and lay it out flat. In the middle pour about 1oz of baking soda (the more baking soda, the bigger the boom, just make sure that your roll isn’t to fat to fit through the mouth of the bottle) then roll the tissue up, making a long straw type shape. Make sure to fold up both ends at some point during when you’re getting to the end of rolling it up, making sure that no baking soda will fall out the top or bottom. Step 3 – Now when you’re ready to throw your grenade, drop the baking soda roll through the mouth of the bottle, screw the cap of the bottle on as tight as you can and then shake. You should feel the bottle getting bigger and bigger in your hand. When you think it’s about to blow, whip it at something solid near your targets. Pavement is ideal, but a wood structure or anything else is good. If you simply toss it on the ground it may not build enough pressure to explode; the best thing to do is whip it at something solid, as stated above. The thinner the plastic is on your bottle is the better chance you’ll have of a good explosion. When the grenade goes off the sound is very loud (close to the sound of a gun shot). So, you may not want to use these at night or in the early morning. The bottle also gets completely shredded, so it’s pretty much a one-time use. BBs fly within a 20-30ft radius. Depending on where you get hit it’ll sting a little bit. Mortars are very common over in the Middle-East (among other places), not to mention very effective. Bringing the concept of the mortar to an airsoft field is outright destructive. 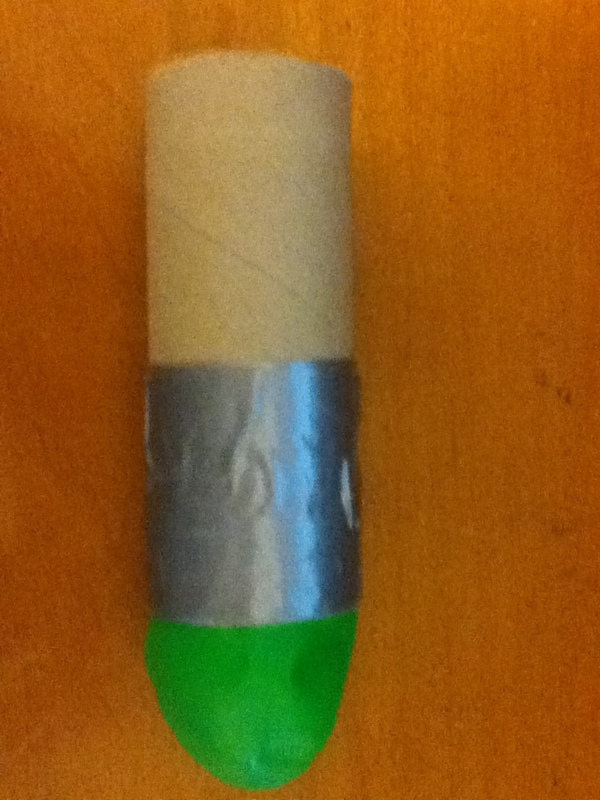 Unfortunately no one makes airsoft mortars; which means you’re stuck making one yourself. Making it yourself isn’t all bad, though. By making it yourself it’s cheaper, if it needs maintenance you know how to fix it, and it can be plain fun. How you shoot your mortar is you put airsoft BBs (7-10 of them) into the open end of the PVC pipe. Then you step on the the bottle with your foot. Stepping on the bottle will automatically raise the PVC pipe in the air a little bit. Put all your weight on the bottle and finally the latex will break and send a surge of air through the PVC pipe and project the BBs. Do not stomp on the bottle, just slowly put more and more weight on it until the latex snaps. The only down side of this mortar is that to reload you have to unwrap the tape, pull out the PVC pipe, unwrap the other tap, pull off the popped latex, replace it with a new piece of latex, tape it up, put the bottle back on, and re-tape that again. Believe it or not, though, if you get a couple of teammates helping you, you can have it reloaded in about a minuet. For accurate aiming you can even have a friend lift the PVC pipe up/down a little bit for greater/lesser distance. Although it looks pretty far from a real mortar, it fires just like one; all your BBs should rain down within a 10ft area. The mortar has a effective range of about 50ft. The BBs won’t hurt too bad, but you should be able to tell if you get hit. If you want to take your mortar to the next level (and make it look more like a real mortar), you can take a two sticks and tape them near the front of the PVC pipe (almost like a bipod). The only airsoft claymores that you can find are over $100. So, unless you’re willing to shell out big bucks for a simple claymore, you’re stuck making one yourself. Making it yourself isn’t all bad, though. 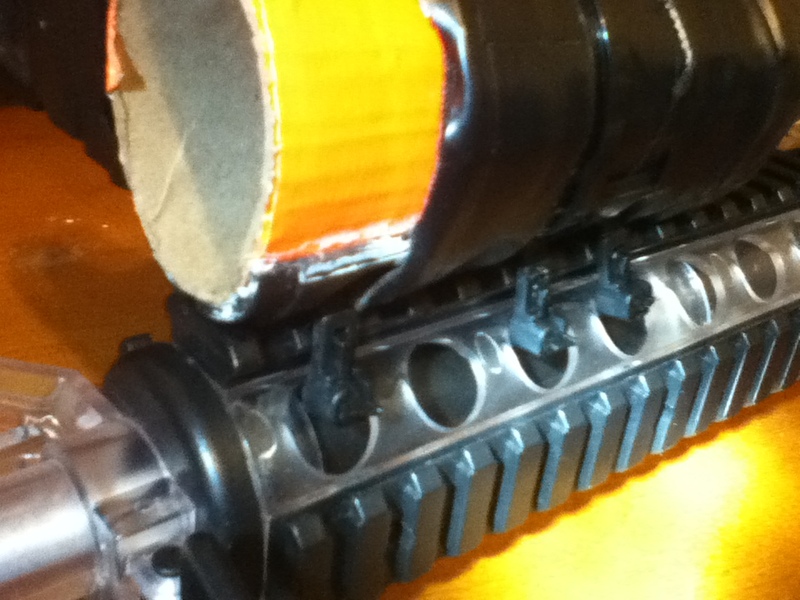 You can construct a decent airsoft claymore with some around-the-house items pretty easily. Plus, you know how it works if it ever needs maintenance. How your claymore works is you stick it in the ground and stick the 2ft tall wire/stick that’s attached to the mouse trap about 9ft away, giving the line in between the wire and the mouse trap just enough slack that the claymore won’t go off on accident. Now set the mouse trap just like you normally would. Put 10 or so airsoft BBs on top of the duct tape pocket that you made on the mouse-hitter thing. Now your claymore is set. If someone bumps into the fishing line, the mouse trap will go off and stop abruptly half way, which will send the BBs sitting on top of the mouse trap flying into whoever hit the fishing line. If the BBs hit bare skin it’ll sting just a little bit, and if they hit fabric, you’ll feel them but they won’t hurt too bad. The best way to use your claymore is in airsoft matches; put it around a corner where it’s hidden and when someone comes running past they’ll hit the fishing line and the claymore will get them. Your paint job camouflage will come in handy if you plant the claymore in high grass or brush. Like I said, it doesn’t silence or suppress, but it will increase the accuracy and look really cool. 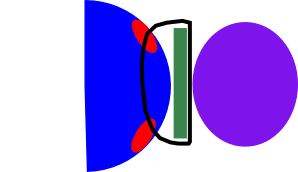 If you have problems with the silencer falling off then you can take the extra piece of cardboard and make the suppressor hole smaller, as explained above. Or, if you know you want the silencer on your gun for a while, you could even glue or tape the silencer onto your gun, although the cardboard trick should keep the silencer in place.